After ceasing production of the Nintendo Wii in Japan this week, the console maker has now confirmed that no more units will be making their way to Europe. The original motion-sensing console is now officially discontinued in the region, so once existing supplies have been extinguished, there'll be no more to replace them. "Wii imports to Europe have been discontinued, a Nintendo spokesperson said. 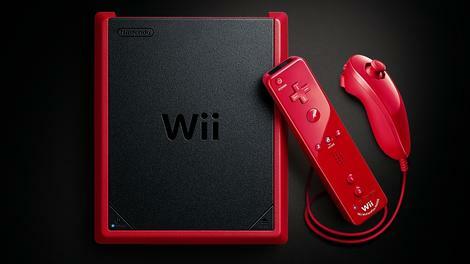 Despite the Wii reaching the end of its natural life, following 7 glorious years, the smaller Wii Mini, which lacks internet connectivity and an SD card-reader, will stay on sale in the region, the company confirmed. Time for U to upgrade? Nintendo, on the other hand is more intent on users upgrading to the backwards compatible Wii U console, which has struggled to gain traction since its launch in 2012. "There are still a variety of options for consumers to enjoy Wii games and the Wii gameplay experience," the spokesperson said. "Wii U, which is Nintendo's latest home console, is backwards compatible with nearly all existing Wii games and accessories ... when you switch to Wii Mode on Wii U." As of June this year, the original Wii was still outselling the Wii U. That wasn't the way Nintendo planned it, huh?